In term two I am very proud of how far i`ve come with math. Because I remember not doing so well on a test and then I practiced and practiced and did great on my next text. I am also VERY proud of my science project. I think I did pretty well on finishing my homework and always getting my planner signed. I also think I did well in our Basket Ball unit in P.E. I started out not getting any baskets but then after practice I started getting more! I loved having Ms. Bains as a teacher! She is amazing and very friendly to everyone. I think I could improve on making my blogs more detailed. Also I think I could improve on getting my work finished faster in class but still have good neat work. A goal I have for term 3 is to... MAKE MORE FRIENDSSSSSSSSS!!!!!!!! This is what happened in my 2015. First in January my cousin Trent turned 12. His birthday party was at Pizza Hut. Also in January we went back to school from winter break. Next in February I went to my friend Ella`s birthday party. We went to the pool and swam for a bit. After swimming we went back to Ella`s house and had pizza. I took one piece looked away and the rest was gone! We also had a big rainbow cake her mum made. Another thing that happened in February was Valentines day, I almost missed it cause I was really sick but I got back just in time. In March I went to my grandmas birthday party. Lots of family came. I hung out with my cousins all day and had a sleepover. Me and my cousins had pancakes for breakfast. In March spring break started. I mostly just hung out with my friend Ella and had lots of sleepovers at her house and my grandmas house. Then in April we had April fools day. At school all the teachers pranked us and said our teachers switched. My class got Mr Temple, but Mrs Reid switched and became the principle! Also on April 1st my cat turned 16 in human years and 80 in cat years. On the 30th my cousin Lilly turned 6. She had a big party at her house. She has a trampoline and a pool so we got to swim and jump on the trampoline. Next in May I had my 11th birthday. I went to the movie Tomorrow Land with my friends Ella and Cassie. Then we had cake and a sleepover at my house were we made water balloons and stayed up till 1:00 am. Also in May all the grade fives went to Victoria. I was with my friend Ella, Cassie, Keira, Nicole and Amanda. Me and Cassie almost got left behind cause the teachers forgot to write our names on the list. But then Mrs. Preston took us to the fairy. In Victoria we went to the parlament buildings and the muesum. Then in June my brother turned 14 and had a sleepover with his friends. Also my Auntie Heather had her birthday. It was at her house and we swam in the pool and jumped on the trampoline. Then we had sports day and the red team one and i was on the red team so that means my team one! Later after sports day school was over and summer was on! Soon in July we had summer vacation. I had a blast hanging out with my friend Ella all summer long. We had sleepovers and water balloon fights and and a bunch of other stuff too. In August my auntie Stephines had her birthday. Then I went to Mable Lake. A bunch of my family go camping there for a week. We rent out three trailers spots and two cabins. We go swimming and get ice cream. Some thing that went well in term one was: the science projects. We had a week to work on them in groups without help from Mr. Dorland. Everybody finished and presenting went well too. Something I think that didnt go well was remembering to do class meeting every Tuesday. One memory I have is when we first met miss. Panah. At first I didnt know who she was and then I figured it out and I was really happy. My favourite academic activity was doing The starbucks class room. 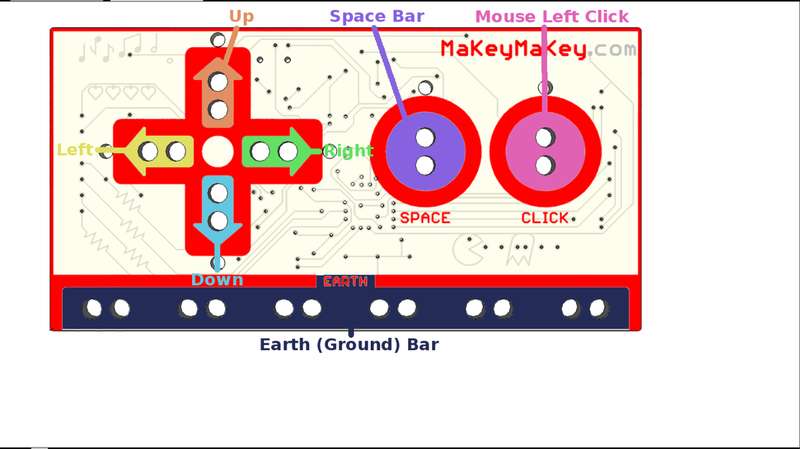 I did mine with Sophie class both of us couldnt figure out what to do then Mr. Dorland told us to do some thing called makey makey were you make a video game controller out of a banana peel. A short term goal that I have is to get better at doing fractions because I can never really figure it out. A long term goal that I have is to become a teacher and teach kids and help them learn. 3. Something I want to do in Term 2 is complete every game in code.org.